We are dedicated to supporting and serving our wounded servicemen and women through creating family functions and events such as bonfires, cookouts, swimming, boating, etc. to get the wounded and their families out of the hospital for well-needed rehabilitation. Our goals are to utilize our extremely huge F650 pickup trucks, along with a 15-passenger handicap accessible bus, to transport the wounded veterans and their families to our events or coordinate our efforts with other non-profit organizations in need of transportation to their events. 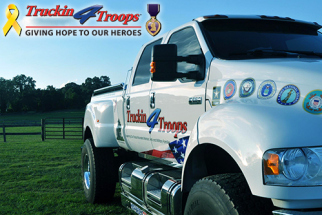 Truckin4Troops was established in 2010, to support military families, wounded warriors, and veterans. To thank them for their service and encourage them to know that fellow Americans are appreciative of what they do to defend our country. HOPE For All is a Christian ministry whose mission is to provide basic human necessities (i.e. furniture, housewares, clothing and personal items) to families and individuals without sufficient economic resources. We are a public 501 C3 who serves in Anne Arundel County, parts of Baltimore City and the Appalachian region. We seek to bolster the dignity of disadvantaged families by providing for their basic human needs. Great efforts are taken to promote responsibility, not dependency. We strive not to diminish the incentive of individuals and families to provide for themselves and find meaningful work. 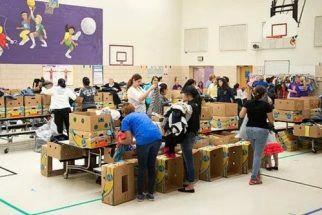 HOPE For All is committed to accomplishing its mission primarily by engaging compassionate volunteers of all ages, from all walks of life, in meaningful and productive Christian service. It seeks not to compete with but to support and work with other non-profits, churches and agencies especially those embracing similar Christian values. 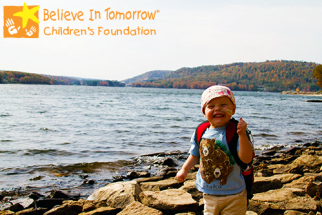 Believe In Tomorrow Children's Foundation provides exceptional hospital and respite housing services to critically ill children and their families. Our unique programs bring comfort, hope, and joy to children and their families, enabling them to renew their spirits mentally and physically. We believe in keeping families together during a child’s medical crisis, and that the gentle cadence of normal family life has a powerful influence on the healing process. We believe the highest standards of service and unparalleled hospitality help create a unique healing environment, where families find hope and comfort.